If your renters recently moved out, wait a minute before filling that vacancy. You could keep doing what you’re doing—and cycle through a horde of tenants before the year is through—or you could try something new. Did you know that early last year Cincinnati was ranked as one of RealtyTrac’s top 15 markets for profitable home flipping? With a bit of time, money and effort, you can renovate your rental property to not only attract better tenants but to keep them longer, as well. But don’t put all of your money into a full-scale property remodel when all it needs is a face-lift. When searching for a rental, the potential renter is most likely to rely on their first impression of the property when deciding whether or not to rent. After a walk through, you don’t want potential tenants to leave with thoughts of, “Outdated kitchen? Less than ideal” or “Shag carpet? No thanks.” Combined with a weird layout and funky floors, an ancient fridge or bulky stove could be the deal breaker. Make your property’s kitchen memorable, but in a good way. Swap out old appliances for new, more energy-efficient models. Stained floors, dirty carpet? Not very appealing and sometimes even a good shampoo just isn’t enough to bring the floors back to life. 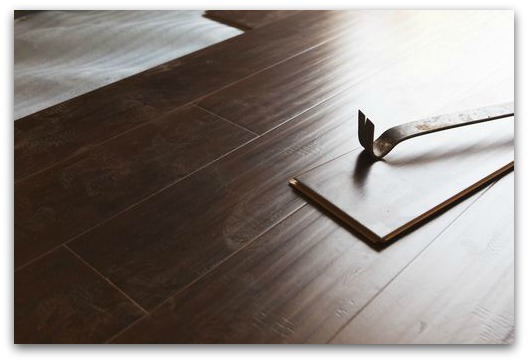 When low-quality flooring starts turning tenants away, it’s time to rip it out and start fresh. A great improvement project for DIY-type landlords, consider spending the weekend doing it yourself. DIY Network features several free flooring installation videos, and you can rent any assembly gear you’ll need, including material lifts or handheld drills, from a local construction equipment rental company. Nothing screams high school gymnasium like a row of fluorescent lights. Tenants want well-lit rooms that can be ambient-adjusted to fit their mood, not dim hallways or blinding spotlights that leave them with a headache. If the property needs dramatic results, install overhead, recessed and track lighting throughout the property. If just a few updates will do, consider stringing LED rope lights under kitchen and bathroom cabinets for a simple touch. When spread across several planes, interior lighting can imitate natural lighting, giving rooms a calming glow that appeals to prospective tenants.